Prior to joining Multiples in 2015, I was a journalist with CNBC-TV18, which taught me to identify impactful 'stories' by asking the right questions in interactions with businesses. This has held me in good stead as an investment professional as I interact with high-quality entrepreneurs and work with them closely in their journey to create value. Pursuant to that, an MBA from Columbia Business School refined my analytical skills and deepened my professional network, enabling me to make the shift from journalist to finance professional. At Multiples, I now spend most of my time on the Consumer sector. 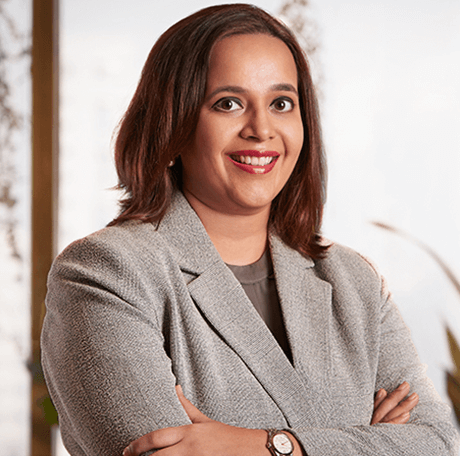 The firm's deep understanding of the Indian markets and its strong network of relationships has immensely expanded my scope of exposure, as I work on transactions and with portfolio companies across the breadth of the sector. When I'm not working, I enjoy cooking, traveling and unwinding with my young son, who is my greatest source of inspiration.